Selma is the story of Martin Luther King and his campaign to let black people register to vote in the US, by marching from Selma to Montgomery in 1965. With true stories, I find it quite difficult to review or think what I'd change in a film, because the story happened and we know how it went. It is more about how a film tells the story that people know, and how they can still create emotion when we know the ending. 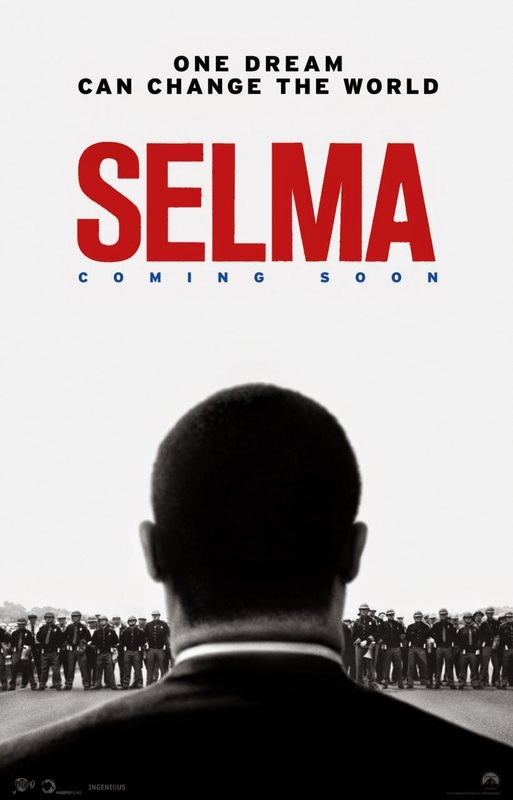 Selma does this very well, by including real footage of the march, showing different sides of a story and with fantastic actors. The lead actor, David Oyelowo was incredible as Martin Luther King. His voice and mannerisms were spot on and it really impressed me and made the film come alive. Overall all the actors played their roles well, and brought emotion and the chemistry between everyone showed through. Have you seen Selma? What did you think?